David, my client, one of the main players in this case study, just accepted a new position in the company where he has been working for the last several years, which I will call Health International (HI). I am the other main player whom HI hired as a consultant to help David and a small team for which he is ultimately responsible to negotiate contracts for medicines and health care products under a tight deadline. The problem that David presented to me, by way of a meeting invitation, is to improve information contained in a spreadsheet so that it becomes a knowledge management tool for him and other decision-makers. On the surface, the spreadsheet is a problem because its information is already outdated and no one knows it current status. The underlying problem is that HI is behind in delivering medicines and health care products to poor countries. David believes that closing the negotiations of contracts with suppliers of these products, summaries of which will be included in an improved spreadsheet, will help solve this problem at least in the short term. Despite the fact that this information contained in the spreadsheet has the potential to help, the real problem is one of accountability –no one has taken responsibility thus far for closing those negotiations, and in the bigger picture, for turning around the situation. As a side note, HI dismissed the project director two weeks before my arrival, whom one would assume was ultimately accountable. This problem has been going on for several months (10 months, perhaps) and finally snow-balled into a written warning from HI’s client, a U.S. government agency, stating that HI has three months to turn around the situation of delayed deliveries ‘or else’. The worst thing about this problem is that people in developing countries have not received medication or supplies on time. I do not know the medical repercussions, or whether lives were lost. Without fully understanding the complexities of this billion- dollar supply chain project, I believe that lack of accountability and direct communication are leading causes of this problem. The meeting with David presented an opportunity for me explore how I could apply coaching skills while acting as a consultant, with the objective of my becoming a better coach and consultant. First, I was curious about whether elements of a standard coaching agreement could apply to this meeting, and they did: we established (i) the topic of conversation (spreadsheet), (ii) the objective (improving the spreadsheet); (iii) the motivation (written warning from client and people likely suffering due to delayed shipments); and (iv) the measure of success during our session (define ways to improve the spreadsheet). Next, I confirmed my understanding of the elements of the agreement and his expectation for our meeting. Then, remembering my personal objective, I quickly shifted to a coaching mindset of ‘it’s all about the client’, which in many ways applies to a consulting mindset, too. I held the conversation space open while David talked his way through the problem and how he would solve it as I listened and empathized with him. When he finished, I asked very direct questions, one by one, that included: How do you visualize a meeting with other decision-makers in which you present this ‘new and improved information tool?’ and ‘How can you ensure that this tool will be updated with correct information?’ As result, he further refined improvements and we ended the meeting with his asking me to revise the spreadsheet in very specific ways. I believe that my meeting was effective: ultimately David figured out how to improve the spreadsheet by my allowing him the quiet and calm space for him to do so on his own. If I had not had my ICA training, I believe that I would have interjected questions or offered ideas to solve his problem, which is what I typically would have done in a consulting role. I also think that my questions were much better than they would have been before I had enrolled in ICA coach training, and specifically mentor coaching. In the past, I would typically have stacked my questions and might have given example answers (sort of a multiple choice). David ended the meeting before we had a chance to discuss structures or accountability, which I thought could be the next logical topics of conversation. Again, I reminded myself that this was HIS meeting and not mine; however, I also reminded myself that he hired me as a consultant. So I suggested that as a follow up that he think about meeting again to talk about structures he could put in place to make sure that the spreadsheet is updated and accountability issues surrounding the real problem. 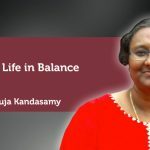 For this very first meeting, I would not have done much differently; however, I feel that I would have not ‘tracked’ myself as much as I did (I forgive myself, however, because I was exploring how I could apply coaching skills to consulting). 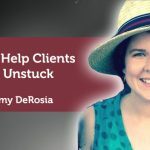 I feel that my greatest contribution to my client in this session was simply offering him the space to talk through his problem, especially because he was just assigned his new job and was trying to figure it all out. Be true to your agreement. 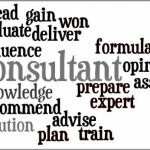 The line between consulting and coaching can easily become blurred, especially if one is hired as a consultant. Consultants are expected to provide solutions; consultants are hired to help clients find solutions themselves. When my client asked me to do follow-up work on the spreadsheet, I of course graciously said ‘yes’; had I been hired as a coach, I would have suggested that he do so! Hold the space and resist the urge to offer a solution until asked. Powerful listening allowed my client to talk through the problem and solve it himself, which helped him understand his new roles and responsibilities better than had I interrupted him. 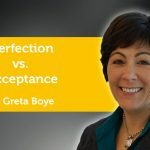 I was very aware of holding the space open on purpose, which was a new feeling for me as a consultant. 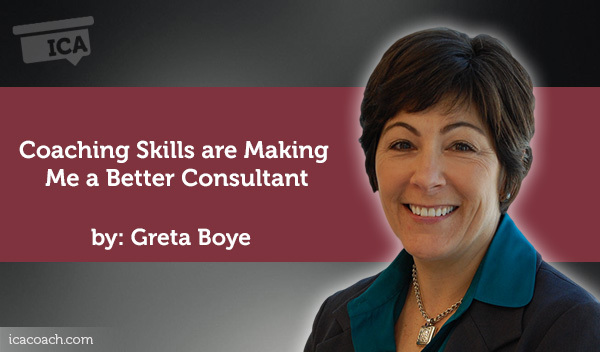 Certain coaching skills helped me do my job as a consultant better than without them. Listening, asking direct questions at the ‘right time’, and visualization were definitely three good coaching skills that I believe can easily incorporate into my consulting practice. 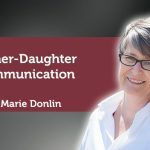 I also believe that the coaching skills of acknowledgement and accountability can be incorporated depending on the circumstance and the timing of the conversation.